Fundraiser by Alana Stickney : Eyak Lake Home Hit by a Hemlock! 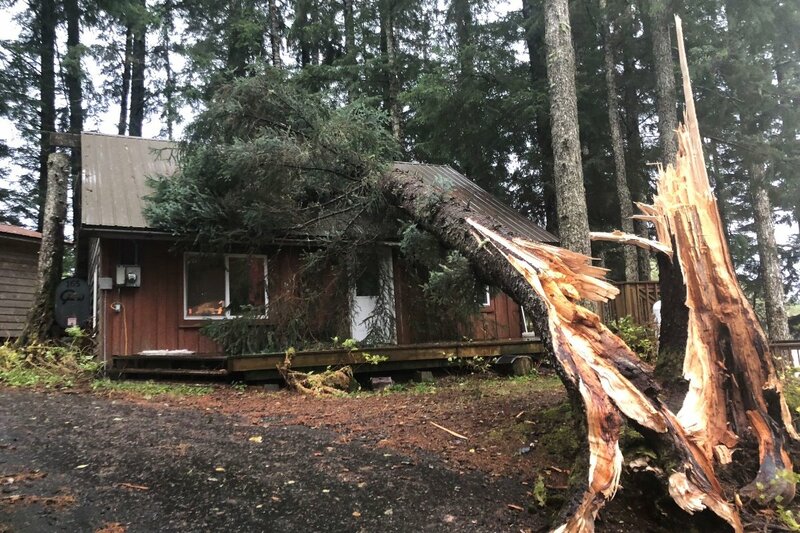 Eyak Lake Home Hit by a Hemlock! FRIENDS! 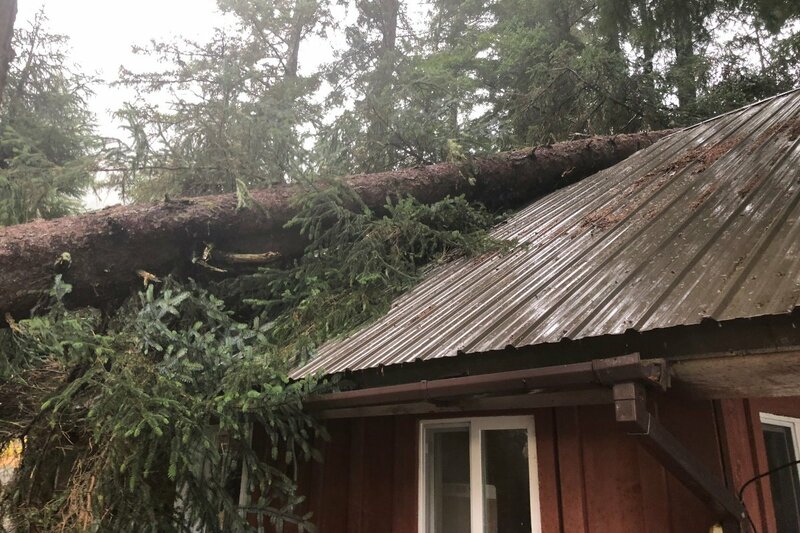 THE EYAK PRESERVATION COUNCIL’S (EPC) BELOVED EYAK LAKE 5-MILE HOME IN CORDOVA, ALASKA WAS HIT HARD BY HEAVY RAIN AND WINDS THAT EXCEEDED 85MPH ON TUESDAY, OCTOBER 23RD. EPC founder and board chair Dune Lankard was on the phone with EPC staff when he heard a loud cracking sound and watched a huge tree twist and break from its base and start falling towards the Cottage. With a huge crashing noise it fell onto the roof. Dune yelled, “OMG... OMG… " as he jumped from his chair and backed away from the window. The large old growth Hemlock tree between the two buildings on the property blew over in the hurricane-like gusts of wind, smashing onto the house while Dune was inside. Luckily, he was not injured, but the Cottage received extensive damage to the roof, upstairs rooms, ceiling and building. The Eyak Lake 5-mile Home is a very special place for our organization. It serves not only as a place where we work on campaigns and projects, but is also where we host community and cultural events and share our “Power of Place” with guests from all over the world who come to visit, work, attend meetings, experience the region, raft the Copper River with us, or just want to help us succeed in our important preservation work. For those of you that have joined us here, thank you! For those of you who want to come or help support this Eyak Lake Cottage restoration project: Please provide any kind of financial support donations you can towards repairing the EPC Cottage before winter comes. You will be doing a service not only for EPC, but also for the communities and wild salmon regions we serve to preserve as well. EPC is a 501(c)(3) and all donations are tax deductible. Of note: The insurance company did not offer coverage for this unexpected event. We are researching for another coverage company.